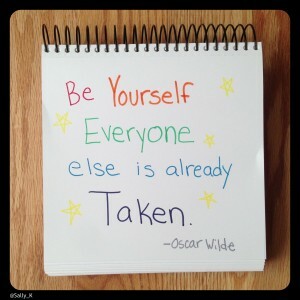 The upcoming US Supreme Court decisions coming up about Prop 8 and DOMA have reminded me how important it is to speak your truth and be yourself. Thank you to all the supporters of marriage equality who have spoken up. I have always been “out of the closet” to my friends and family but I did not “come out” publicly online until 2006. I remember the first time I came out online: I was in a small, private, business networking forum made up of about 50 Virtual Assistants. There was a ‘Getting to Know You Thread’ in the forum. This is where everyone introduced themselves and shared a little personal information; things like whether or not you were married, how many kids you had, etc. A large percentage of the women in this group were conservative and very Christian – the kind of Christians that had things like “I love Jesus” in their profiles. The kind of Christians that until recently were very scary to gay people. So when I saw that thread, I panicked. I considered my options: leaving the group, ignoring the forum or being myself and answering the questions truthfully. I chose to be myself and answer the questions honestly. I remember my hands were literally trembling when I hit the send button, I even cried a little. I did not want to lose this group. They were the most supportive people I had found online and the group was critical to my success as a business owner at the time. Keep in mind this was before the days of mainstream social media. It was still scary to meet people virtually and I had stumbled upon this wonderful group of supportive people. To my surprise, one by one I started receiving private messages from the members. All of the messages were loving and supportive. Some shared stories of relatives who were gay. Some told me they had been raised to believe gay people were perverts and sinners and that they had never met a gay person before but they liked me and decided they didn’t agree with the way their parents thought about gays. The messages just kept coming in. People shared stories of their siblings and children living in the closet, in places of this country where it was still not safe to be out. They thanked me for having a voice for those who couldn’t. They also taught me that not all Christians are bad and narrow minded. It was not about the Christians and the gays. It wasn’t about them vs. us. It WAS about getting to know each other on a personal level. It is a lot easier to generalize a whole group ie. Democrats vs. Republicans and just write them off than it is to get to know people who think differently than you and let them get to know you. 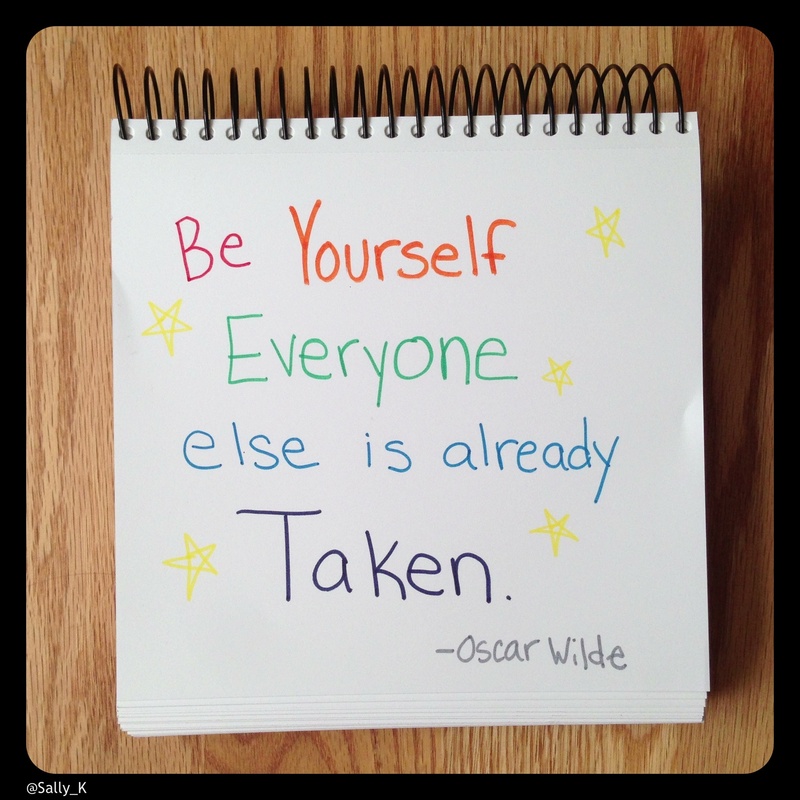 My tip for today is to Be Yourself – you never know how far reaching that will go. To this day, I still have strangers emailing me and sending me private messages on Facebook and Twitter telling me they are gay or a family member is gay and thanking me for speaking my truth because it has given them strength. Finally, I wanted to give a shout out to Alan Chambers, the President of Exodus International for being brave and speaking his truth today. I never thought I would be thanking this man. This is a great post and it gave me chills. Sharing it on the WPSC Facebook page. (And kudos for the shout out to Alan Chambers, who is going to have to be dodging bullets (literally, I bet) very soon. I’m so happy to start to see this during my lifetime. Thank you Patricia. I appreciate all of your support. Great post! I think people ( whatever they may think of you and your life ) do appreciate bravery and honesty, and that drew them to accept your truth not only because they liked you in the first place – of course! – but also because you had actually spoken up for yourself, without trying to hurt anyone else in the process of being accepted. So it’s awesome! Even if I’m still awaiting – as a straight girl – the day when saying ” I’m gay ” will not be as necessary as it is now: when it will be accepted as natural. I don’t even think of adding ” straight ” to ” get to know each other ” stuff; however, as you said, for now it’s still necessary! I think ( coming from an environment not too different from the one you have described in the post ) that many don’t accept gays because they’re still an unknown land to them, as if being gay made them different human beings. I’ve heard this last bit a lot. P.s. Just a question: why do you english speaking call ” straight ” a heterosexual? Does it imply gays being considered crooked or something? It’s kind of a weird definition to apply to a person! Good question Elisa. I do not know where the English origin of “straight” people came from. I will have to look it up. As for announcing I was gay on the forum I didn’t say “I’m gay”. I said my partner was a woman. Everyone was mentioning their husbands. It’s not that I was announcing my sexuality, it was that I was announcing my family structure. At the time saying spouse or wife was not an option. People often ask why gay people feel the need to announce it? The “it” they are announcing is usually their life partner and has nothing to do with sexuality or what happens behind closed doors. I often hear people say they don’t care what happens “behind closed doors” and that always confuses me. I don’t care what happens behind their closed doors either and in fact I don’t even think about it when they tell me they are married. Would they ever say that to a woman who announces she is married to a man? Thanks for reading and commenting and your English is just fine! Bravo is all I can say! Thank you for the answer, Sally! And for the marital status part, I didn’t take the point, apparently 🙂 now it’s clear. And you’re right about the ” don’t matter – what- you – do- behind – closed – doors ” thing; it’s what I intended ( damn my english! It’s rather difficult to express thoughts this way! ); it’s a pretty rude statement in itself: it clearly shows that you “do” think about your interlocutor’s sexual life, while trying hard not to. I did miss this! WOW I totally remember that post. As one of the “Christians” you talked about I was so excited that you felt comfortable enough to share with us. Everyone is a child of the King and I find the judgement placed upon the GLBTQ community to be disgusting and reprehensible. You and Celia are two of the most amazing women I know and I am forever blessed for having met you! Becki thanks for being you!